We all know the story of the proximate causes of the economic crisis – a housing bubble enabled by not merely massive applications of credit, but credit packaged in unimaginably complex and obscure forms and a dispersion of responsibility that comes with securitization. There was a synergy of troublemaking here. Mortgage debt, after rising gently through the 1980s and 1990s, exploded after 2000, rising from about 60% of after-tax income to a peak of 100% in 2007. We know that lending standards deteriorated, to where the only requirement for getting a loan was having a pulse—and I bet you could even find some exceptions to that rule. Downpayments became optional. The habit of packaging mortgages into bonds and selling them to distant investors removed any incentive for the original lender to scrutinize the creditworthiness of borrowers—and allowed trouble to proliferate around the world when things went bad. My use of the word “bond” in the last sentence is as quaint as downpayment became, because the finest minds of Wall Street assembled all manner of mortgages into complex derivatives that no one, even some of the people who sold them, could understand. (Ok, “no one” is an exaggeration. I think the actual count of people who undersood these derivatives was in the hundreds.) Investors had absolutely no idea what horrors were hidden in the structured products they bought, even though many came with a Aaa ratiing. Either the rating agencies didn’t know what they were grading or didn’t care—the issuers of the dodgy securities were the one who were paying their fees; as one rater put it in a famous email, they’d rate things put together by cows. Of course they weren’t put together by cows—the were put together by investment bankers, who are far more dangerous. All this is true. But it’s a mistake to look only at that part of the story. Today’s crisis also has a prehistory going back to the problems of the 1970s and the neoliberal prescription for fixing those problems. The “problem” of the 1970s was, of course, stagflation. The stag part is actually rather misleading; the expansion of the Carter expansion saw job growth four times as rapid as that of the George W. Bush expansion, and GDP growth half again as high. For the whole decade, GDP growth in the 1970s was also half again as high as so far in the 2000s—but such a comparison for employment is impossible, since job growth in this decade is slightly negative, the only such period in U.S. history for which you can say that, The gap between job and GDP growth is striking, and gives a hint of the contrasting class dynamics of the two eras. By the way, the recovery so far, such as it is, is even more strikingly imbalanced, with profits up about 50% over the last year and wage and salary income up just 1%. A 3-to-1 ratio is average for the first year of a recovery; 50-to-1 is unprecedented and scandalous. But the inflation part of the 1970s was important. The CPI maxed out at nearly 15% in 1980, and hit an 18% annualized rate in March of that year. Wartime inflations were common in U.S. history, but never this chronic and deteriorating sort of thing. But inflation wasn’t just about rising prices—it was also about sagging productivity, falling profitability, limp financial markets, and, less quantifiably, a general loss of discipline in the workplace and the erosion of American power in the world. Corporate profitability, which had peaked at 11% in 1966, fell by two-thirds to under 4% in 1980. With high inflation, holding bonds became a losing proposition; Treasury bonds were nicknamed certificates of confiscation. Stocks turned in one of their worst decades ever—not as bad as the 1930s, but close. Obviously something had to give, and what gave was the working class, domeestically and internationally. Paul Volcker came into office declaring that the American standard of living had to decline, and he made it happen by driving up interest rates towards 20% and creating the deepest recession since the 1930s. (We just beat that record, but it took 30 years!) To the one-sided class war, Reagan added the ammunition of firing the air traffic controllers—the very opposite of what a Republican president had done with strikers only a decade earlier—and it was open season on organized labor. Wages and social spending were squeezed, and the deregulatory agenda that began under Carter was intensified. Abroad, Latin America was thrown into debt crisis, a crisis that for a while threatened to take down the global banking system—but instead, the problem was solved through the now-familiar neoliberal agenda of privatization and opening up to cross-border trade and financial flows. The program was very successful. The recession scared the hell out of the working class; people were glad to have a job, and wouldn’t dream of telling anyone to shove it. Business became essentially free to do whatever the hell it wanted to. Profitability recovered strongly, rising throughout the 1980s and 1990s to a peak of over 8% in 1997—not quite 1966 levels, but still more than twice the trough of 15 years earlier. It took a while, but productivity finally joined in. In the military–political sphere, U.S. power was enhanced, and we kicked the Vietnam Syndrome too. Discipline problems were a thing of the past. There were a few interruptions—a stock market crash in 1987 that looked scary for a while, a long stagnation and jobless recovery in the early 1990s, the bursting of the dot.com bubble ten years later. But all in all, the system managed to recover from, even thrive, on its troubles, and state managers perfected their bailout techniques. Of course, each bailout laid the groundwork for the next bubble, but Alan Greenspan famously said that one needn’t worry about bubbles because one can always repair the damage after the fact. He lately seems chastened on that topic. But through those bubbles, busts, and recoveries, one constant persisted. A system dependent on high levels of mass consumption has a hard time living with a prolonged wage squeeze. I mean that not only in the economic sense, but also a political/cultural one. American life is very insecure and volatile, and the ability to buy lots of gadgets assuages that to a considerable degree. Mass consumption staves off what could be a serious legitimation cdrisis. For the last few decades, the economic and political contradiction has been managed, if not resolved (not that it could ever be) through the liberal use of debt—credit cards at first, and then mortgages from the mid-1990s onward. The explosion in household credit —from 65% of disposable income in 1983 to 135% at the 2007 peak (most of it from mortgages, by the way)—is what made the booms and bubbles of the last three decades possible. This is especially true of the 2001–2007 expansion, which featured the slowest employment and aggregate wage growth of any cycle since numbers the numbers begin in 1929. Without the massive cashing in on appreciating home equity—Americans withdrew several trillion dollars worth of home equity during the decade of boom, and spent a lot of it—consumption would have languished and the home improvement business would have gone under. And since we have almost no domestic savings, much of the cash for that adventure came from abroad, from places like the People’s Bank of China. But it seems impossible to go back to that old model of doing an economy (though we still haven’t shaken the foreign borrowing habit). The housing market is still busted, as are the consumer credit markets. Retail spending has picked up from the depths of 2008 and 2009, but we’re not going back to the old pace of spending anytime soon. Interesting class point: the pickup in retail spending over the last year has been led by the so-called luxury sector, with discounters in second place. That is, the upper orders are doing well, everyone else is trading down, and the middle is looking rather hollow. And despite being flush with cash, corporations are not investing or hiring; the job market is very weak, and a minor revival in capital spending looks to be sputtering out. What next? While the encouragement of clean energy and other green technologies would seem to hold great promise for generating fresh growth over the longer term, the political and financial systems seem incapable of getting there—our ruling class, such as it is, seems to have lost the capacity to think beyond the next quarter. New Jersey’s thuggish new governor, Chris Christie, has just cancelled his state’s participation in a rail tunnel across the Hudson, a project that would not only create jobs in itself, but would have long-term productivity payoffs. But he says the state can’t afford it. He’s not alone. A number of Republican candidates are running against the modest high-speed rail projects funded by last year’s stimulus bill. I don’t think it’s only a budgetary thing—I suspect that they also think that trains are for pansies, and real men get around in Escalades. It’s a historical fact that many major industries in the U.S. got their start through public subsidies, from the railroads in the 19th century through the computer and pharmaceutical industries in the 20th. There would be no Internet without the Pentagon. But today’s political elite will hear little of this. There was a $5 billion fund for clean energy R&D in the StimPak, but it was raided to fund the Cash for Clunkers program, a program with little economic and even less environmental payoff. My good friend Christian Parenti has written about how even something as mundane as a concerted public procurement program—the federal government buying lots of clean vehicles and such—could make a major difference in kickstarting a new industrial revolution, but efforts so far have been rather feeble. Meanwhile, the Chinese have been building high-speed rail like crazy, and are surging forward in solar and other green technologies. In a piece on the Chinese rail effort a few weeks ago, the Financial Times led with a vignette of Arnold Schwarzenegger shopping for equipment in Shanghai, as the paper put it, “looking for trains, technology and funding for the planned high-speed upgrade to his state’s rail network, much of which was built in the 19th century by Chinese labourers.” The Chinese rail sector, it’s worth pointing out, is dominated by state-owned firms. I was in a crazy TV debate with a Tea Party–stockbroker type recently who was talking up how China is now more capitalist than we are. I don’t want to say that China’s still state-heavy system is socialist exactly, but it is a lot more effective than our haphazard nonsense. But as I said earlier our ruling class doesn’t want to think this way. And, to be honest, right now they have no incentive to. In my catalog of our economic woes, I forgot to emphasize the fact that the bourgeoisie hardly seems to be suffering. At least until recently, productivity has been rising strongly—not because of a rise in high-tech investment, as it was in the late 1990s, but because employers are working their employees harder and paying them less, delivering a nice fattening of profits. A friend who works for a hedge fund told me the other day that 9% unemployment looks to be good for the stock market—stay long Kapital [spelling in original] and you should do OK, he advised. Of course, not all of us—those with only our labor power to sell—can stay long Kapital. But, as you may have noticed, this is not France. The unemployed do not burn cars, the already employed do not fight austerity, and high school students do not go on strike to defend old-age pensions (and stage enchanting kiss-ins in the process). You can draw lots of parallels between our recent bubble and the Gilded Age of the 19th century, but at least the First Gilded Age was spiced up by troublesome rural populists and urban socialists. Michael Reich asked me to conclude with some questions that could serve as topics for discussion and future research. I’m happy to present these as questions, since I don’t really have good answers for them. First, am I missing something in seeing little prospect for serious economic recovery? I’ve long lamented the left habit of seeing no way out of a future of endless stagnation. Capitalism is a resourceful thing, and to paraphrase J.P. Morgan, it’s long been a mistake to sell short the United States of America. Mainstream types love to point to our wondrous flexibility (a nicer way of describing what I earlier characterized as volatility and insecurity) and innovation. But as the U.S. cuts back on R&D spending and public investment and becomes more and more hostile to immigrants, is our time running out? Even the VCs of Sand Hill Road are starting to look more to Asia than their backyard. But it was also common to proclaim the end of the American century back in the 1970s—and that looked premature. Is there some embryo lurking somewhere that will develop into something dynamic, or have we, as George Soros almost said a few years ago before the Council on Foreign Relations before stopping himself, shot our wad? And what about our ruling class? I said a little while ago that it looks incapable of thinking beyond the next quarter. I’d been thinking of writing a book on our ruling class, some sort of hybrid of C. Wright Mills and Vanity Fair, but I set it aside for personal reasons. But I’d like to turn back to it soon. My working hypothesis was that nothing coherent has replaced the old northeastern WASP elite as a ruling stratum. Though it was often greedy and brutal, it also had a disdain for commerce and an ethic of stewardship that helped it plan the post-World War II order with some degree of actual vision and skill. Its members went to the same schools, belonged to the same clubs, and married from the same small and homogenous pool. But now, to use the jargon of Wall Street, the transaction has replaced the relationship. It’s all about who can make the most money most quckly, and the long term can take care of itself. Can a complex and hierarchical society really be run by such a depraved social formation? Can the U.S. elite reconstitute itself as it has in the past? For a while, I thought Obama might represent some sort of rationalization of the system, some efforts of repair after the decadence of the Bush years, but it’s not turning out that way. Neither he nor his paymasters seem interested in or capable of such a project. This is another view of our economic problem: I don’t think an elite can stay rich and powerful forever while their society’s foundations rot underneath it. Am I right in this? Or can the oligarchy barrel ahead while everything around them goes to hell? Has it become so globalized that it doesn’t care what happens at home? Will our billionaires take crash courses in Chinese and Kannada and abandon Manhattan and Greenwich for Shanghai and Bangalore? I hope there’s someone out there who can answer these questions. No. The cycle of profit-investment-profit used to entail massive job creation, giving workers clout with which they compelled employers to concede some of the fruits of new productiveness. New industries today do not do that. I offer an explanation in No Rich, No Poor. It has nothing to do with juggling equations of rate of profit and surplus value. It is about the capitalist barrier to productive development. The German scholar asserted the limit to modes of production in a few general propositions; now it is happening in all its concrete reality. Great speech. This is my favorite version of your seventies story — great details. Thanks for posting this great speech. To your concluding proposition, I would speculate that the ruling class feels that they can “finesse” the transition of the US to a multi-polar world. They think they can retain claims on returns from the Asian ascendancy, yet retain Uncle Sam’s military dominance to preserve general American hegemony, in their behalf. I could be wrong, but I would guess this is a miscalculation, on the order of the same kind of miscalculations that the imperial powers made during and after World War I. I would look forward to your Power Elite book, should you resume the work, to see what you would report. You’re incorrect in stating letter carriers had no union before the 1970 strike. The NALC has been in existence for over a century. While frequently hamstrung by Federal laws and regulations, they did have some worthwhile accomplishments prior to 1970. The 1970 strike was notable because it was held contrary to the wishes of national union leadership. The union leadership at that time was seen as toothless and cowardly by many of the rank-and-file members, and too willing to roll over at any intimidation by postal management. It was local NALC branches, particularly in NYC, who declared the wildcat strikes that grew to be nationwide. One of the leaders of the wildcat strikes, Vincent Sombrotto, eventually ended up as President of NALC, displacing the previous ineffectual heads of the NALC, and served in that position for 24 years. Actually, you left out one of the important steps. During the Reagan administration, half the wives in the country went out and got jobs and household income didn’t change . . . The one-income family is pretty much history now. With other strategic initiatives like the all-out attack on public education, it is exactly the complainers about the loss of our traditional values who are doing most to eliminate them. A friend who works for a hedge fund told me the other day that 9% unemployment looks to be good for the stock market—stay long Kapital [spelling in original] and you should do OK, he advised. Wage-labor is kapital , too. It is variable kapital. So, does this mean stay long in constant kapital ? As an addendum to JM’s post, I recently saw a Deutsche Welle news report about how the German economy is recovering thanks to exports to BRIC. Between the lines, the report was saying “goodbye PIIGs, hello BRIC”. Of course, that’s manufacturing/export oriented Germany. For America’s financialized economy, I’m not sure what the pivot would look like. I’m imagining a rentier/welfare state without all that much welfare. The corporate class will eventually call for VAT to help pay for the war machinery, compiling the misery. In the end, we’ll have islands of financial wealth (Manhattan, San Francisco, Palm Beach) served by poor and poorer (tips and no tips) service workers and surrounded by vast swaths of blight kept alive by transfer payments and legacy wealth. Of course, this is already true but I see it accelerating. Many liberal/lefties believe that this isn’t “sustainable” but it depends on your definition. It’s been “sustainable” in South America for decades. Thanks for the speech, and it no doubt engendered some good reaction, but then probably not as much as Taylor Swift’s new wax mannequin. I don’t get the soft spot of supplication to the rich elite of the post-war period – the “ethic of stewardship” is a cliche that should head for the graveyard. The “ethic” of these Best and Brightest morons was be rich, stay rich, keep segregation, eugenics with all but the final step, plunder the world’s resources, and conduct Third-World bombing wars. Yes, the Gini coefficient was marginally better in those days, but this has been a class-bound society with pretensions to unearned grandeur for a long, long time. Vanity Fair is the worst example of that schizophrenic impulse, following E Graydon’s faux populism with slavering profiles of hedge fund criminals, military criminals, and Nancy Reagan. For the book pitch, how about C. Wright mixed with Paul Theroux? Apologies about getting the postal union situation wrong – that’s what you get for doing last-minute research on an airplane. 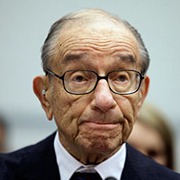 Nice, but the Greenspan pictures are always a bit frightening, perhaps a warning should be prefaced. Will our billionaires take crash courses in Chinese and Kannada and abandon Manhattan and Greenwich for Shanghai and Bangalore? No, because they aren’t that indispensable without the apparatus of state power, and the Chinese and Indian elite will have none of it. Jim Rogers, for instance, seems frustrated that he can’t bark orders at the Chinese Politburo vis a vis yuan capital controls. The only response to globalization that has ever been conceived by US based multinational corporations is the imporverishment of US labor. As the author notes, that has involved creating an imbalance between organized capital and organized labor, and squeezing ever more productivity growth from workers without a compensating share of profits being shared. We have indeed reached the point of unsustainability of this model and, as one of the commenters notes, the new foreign elites will “have none of it” in terms of US elites crashing the party they themselves were responsible for creating. The question is whether the US is still capable of recreating itself again through responsible capitalism, whether the US elites will be driven to seek a new bargain involving reinvestment in the US, or whether they will be content to allow the country to lapse into a two-class, superrich/poor society and a second-rate power. The analogy to the banana republics of Latin America (and elsewhere) is only partially apt. The U.S., even with all its deindustrialization and rapid increase in the parasitical products and services of the banking and insurance sectors, is too diverse to turn into a narrow, (usually landed) oligarchy ruling over a vast sea of serfs. What is more likely in a country the size of ours is a gradual but steady disintegration of the polity itself. The U.S. will become increasingly balkanized both by region and by ideology and cultural/belief systems. This trend has been emerging for a while and, to some extent, it was inherent in the kind of country we put together in the first place (i.e. a confederation of states). However, the lack of a common vision and identity will mean that the U.S., rather than looking like a banana republic will look somewhat more like a disintegrating late Roman Empire (since, unlike Britain’s, that empire was mostly within a contiguous land mass (i.e. mainland Europe and the Levant).